Ashley Brygel graduated from Monash University in 1989 with a Bachelor of Laws and Bachelor of Economics. 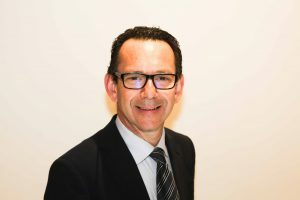 He has practised law for 27 years, having worked at Macmillan Segal & Lenton and Meerkin & Apel in the 1990’s before opening his own practice in April 1999. Ashley has extensive experience in both simple and complex matters and frequently undertakes his own appearances in the family law and civil courts. Ashley is a member of the Family Law sections of the Law Council of Australia and Law Institute of Victoria. He is also a member of the Litigation Section of the Law Institute of Victoria. Outside of the office, Ashley likes to keep fit with gym, soccer, bike riding and golf. He also enjoys movies, choir singing, travel and of course time with his wife and three children.